Are you looking for some ideas for completing your living room design? Take inspiration from some of our top tips for making the most of your space. 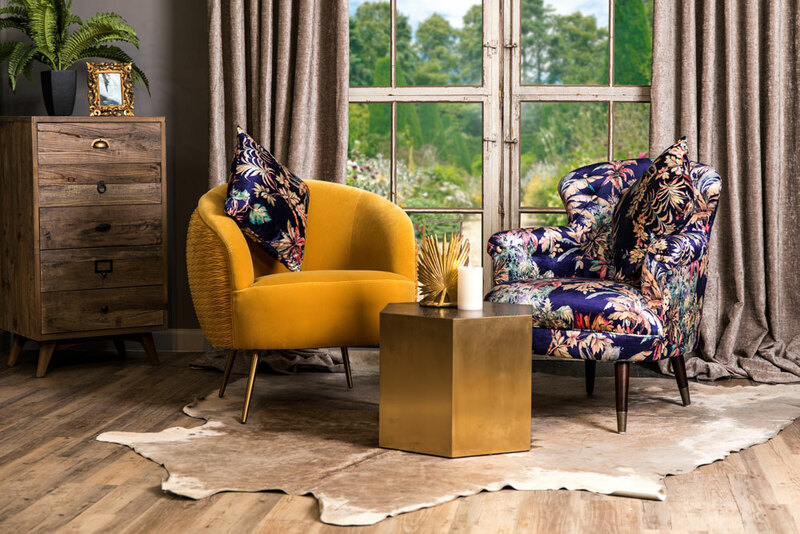 One of the easiest ways to add style, colour and texture to your space is with a statement armchair. 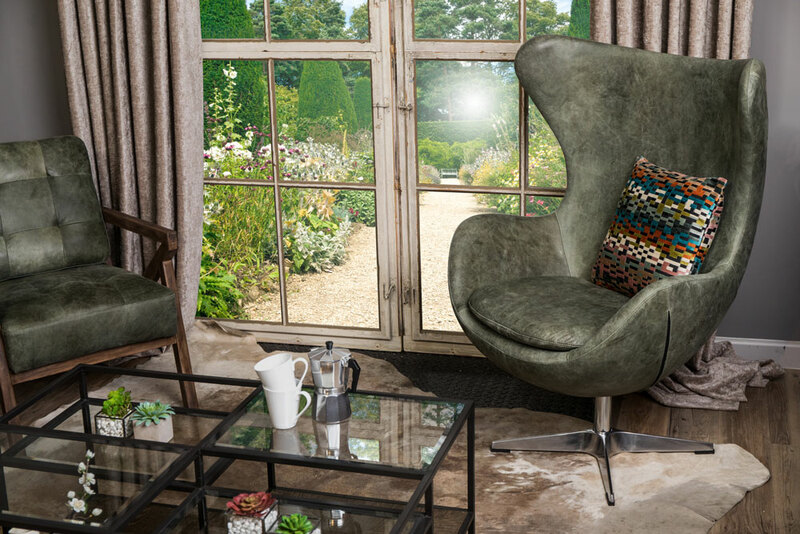 A statement armchair could be a bold design or a stark contrast to existing furniture. It could be different style, colour or material, but we recommend sticking with only one contrasting design element to avoid it becoming too overpowering. 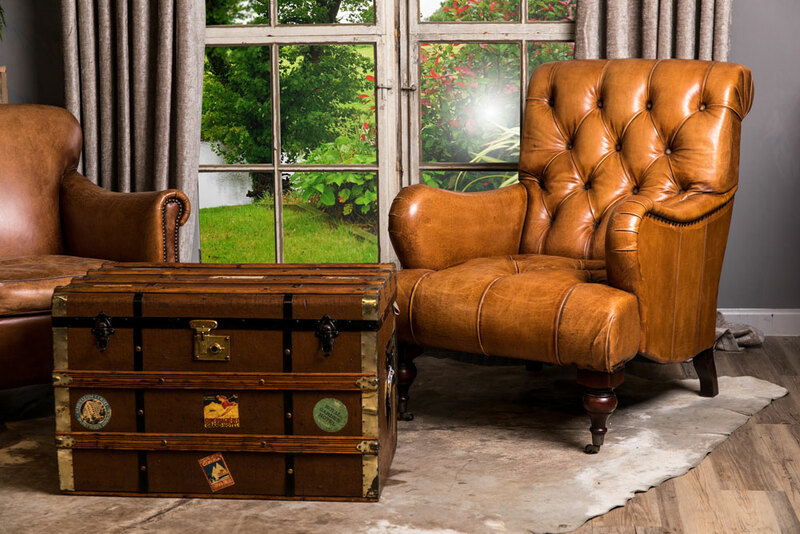 A traditional leather armchair would complement a rustic, vintage or even boho style interior; a velvet accent chair would fit in well with a contemporary, mid-century modern or eclectic space. Coffee tables can be an understated addition to a living space, or can be a centrepiece in the room. They are becoming more of a design feature, with the focus on minimalist yet striking designs. Less traditional styles are being seen now, some without drawers, others with different levels. A tiered glass coffee table is a modern option that would work in most spaces. The glass and ebonised oak layers add interest to the room, without obstructing light. Reclaimed vintage coffee tables are also becoming increasingly popular; those made from old crates or sack trollies are great for bringing character to the room. The decorative items in a home give guests an insight into the homeowner's personality. One-off vintage items make great conversation starters and work to draw the eye around the room. Pick statement pieces that will stand out on their own, or, if it’s more your style, choose items that will complement an eclectic mix of belongings that you have collected over time. Browse our fantastic range of unique vintage furniture and decorative items. Stylish shelving units and sideboards can be stand out pieces of furniture, not simply as a means of storage. Ebonised oak and brass add glamour to an interior; coordinate oak and copper shelves and sideboards with matching accessories throughout the room. Whitewashed New England style storage furniture works to brighten up a space, and is best suited to serene, white spaces. For open plan spaces, vintage shelving units on wheels offer moveable storage. The shelving units can be used to display items and break up a room, then conveniently wheeled to the side of the room if you wish to use the space for entertaining. Bring depth and texture to your space by mixing materials; textured rugs, throws and scatter cushions are seasonal accents that can be updated all year round. Add interest to the room with metal finishes, be that with small accessories or even larger items such as a brass coffee table or a plush occasional chair with brass-capped legs. The lighting that you choose will set the mood for your living room. Think about how you use the space, and about how much natural light you have. If you have enough natural light in the day, and don’t use the ceiling light in the evenings, then consider wall lights or lamps. However, if you wish to make a statement with a bold ceiling light, why not opt for a glamourous bevelled glass light? The glass will reflect light around your room, making it appear bigger. The best tip we can offer is to buy pieces that you truly love, so that your living room will always feel like home.